Dien Bien (VNA) - Police in the northwestern border province of Dien Bien have seized 110,000 methamphetamine pills in two separate cases. While patrolling in Noong Bua ward in Dien Bien Phu city on March 31 afternoon, local police officers detected a suspect trading meth with two others. 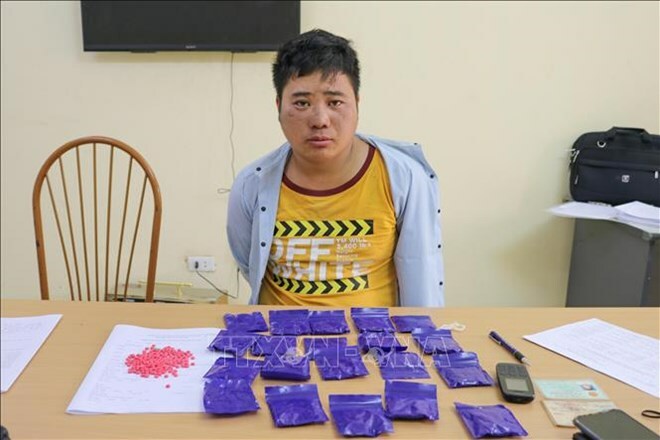 The trio resisted fiercely and fled, but the police subsequently arrested a man identified as Hang A Khu, 29, residing in Dien Bien Dong district’s Pu Nhi commune and found him in possession of 20 packs containing 20,000 meth pills. A day earlier, the provincial police seized 90,000 meth pills and arrested a Lao national. The operation was a joint effort by the police departments of Dien Bien province and the Lao provinces of Luang Prabang and Phongsali. The police also seized a motorbike, a mobile phone and other items. The Lao man said he had bought the meths in Borikhamxay province of Laos and transported them to Luang Prabang for sale to a Vietnamese who has not been identified.